A fun and feisty picture book retelling of a classic fairytale by bestselling author Mark Sperring. Once upon a time there was a girl called Cinderella who lived with her two VERY bossy sisters. When she was not cooking or cleaning, Cinderella could be found mending her sisters’ shoes, or even fixing the car! One day, an invitation arrives to a ball at the palace. 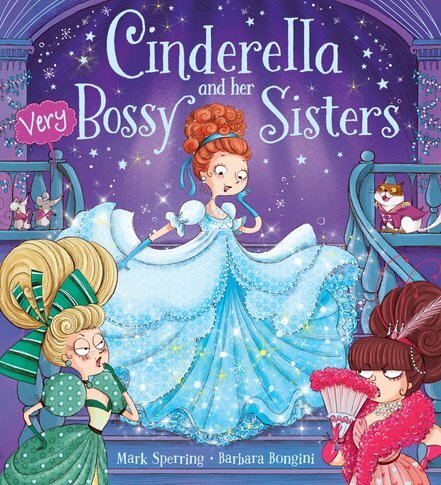 But Cinderella is kept so busy helping her bossy sisters get ready – squeezing their pimples and finding their spotty bloomers – that she has no time to get ready herself, until a visit from a fairy godmother changes her luck forever!